Thank you again for your assistance in getting the perfect dress for the Academy of Achievement Awards. 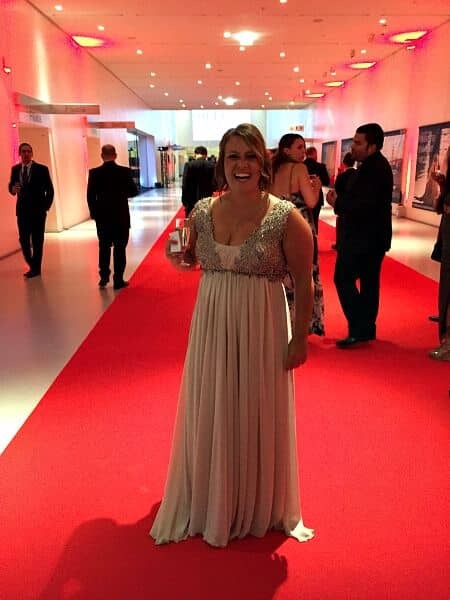 As you know, getting out of black outfits was a big leap for me but the dress was perfect for the occasion. Just check out this handsome couple! This is one of my favourite dresses we have. She looks a dream. 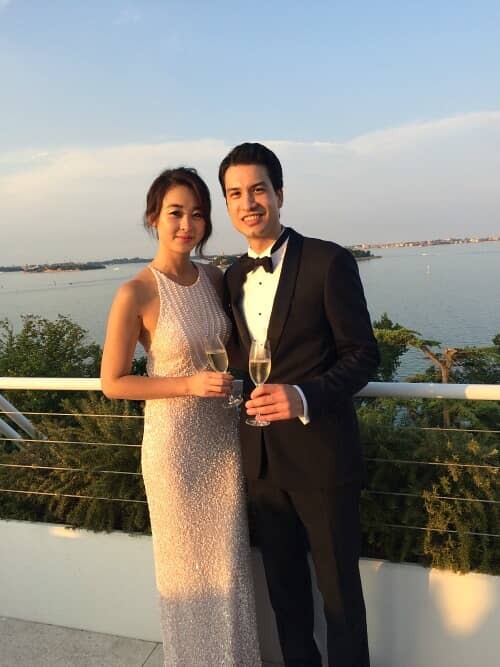 Wearing our blush-pink pearl sequin, backless, halterneck evening dress, to their friend’s wedding earlier in July, in Venice. 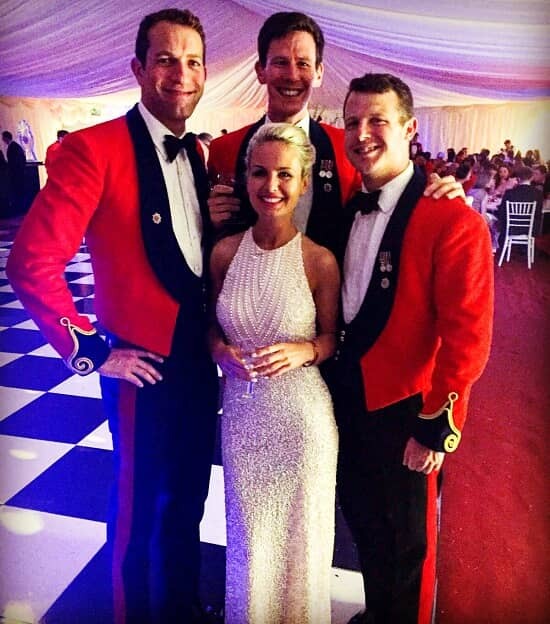 Our beautiful client went to Windsor last month for a Military Ball. 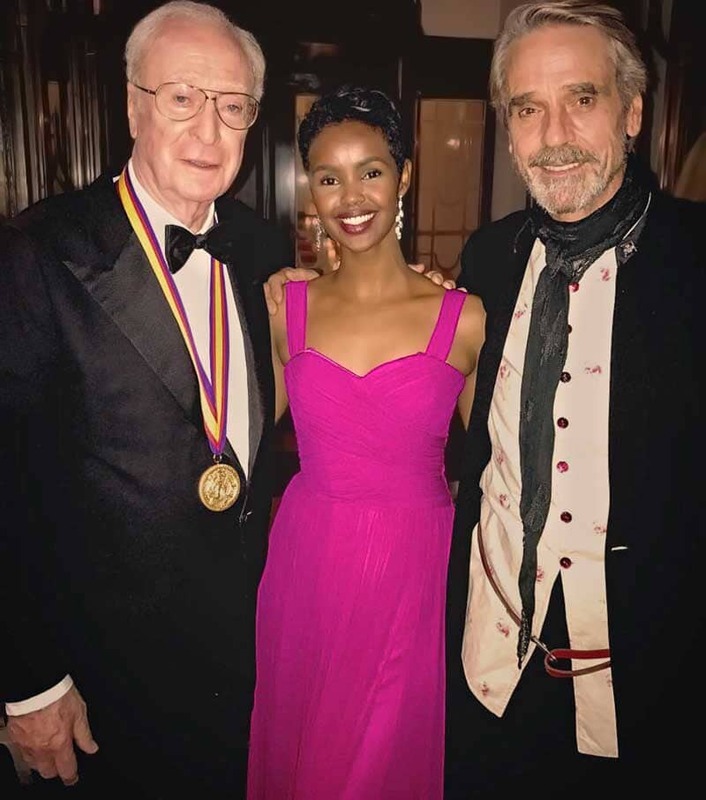 Surrounded by all the handsome men, she can be seen wearing our pale dusky-pink, all-over sequin, halterneck evening gown. Here is one of our most recent clients, Lacey. She was at her graduation, in Switzerland. Wearing our dusky-pink, Grecian, floor length chiffon evening dress.